Many people deal with mental health in their day to days lives. Surprisingly it is still a subject that many find hard to talk about even with their loved ones. In support of Depression Awareness month in October, husband and wife team Carson and Teri Griffin have made the short film THAT'S LIFE. 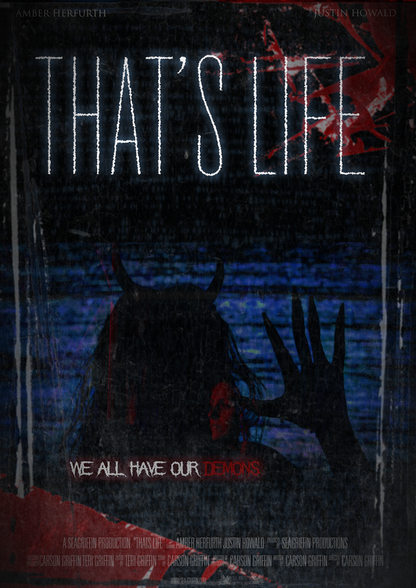 THAT'S LIFE was written and directed by Carson Griffin while Teri Griffin produced and edited. They have over 18 Years of working in the entertainment industry. Below is a wonderful director’s statement about how and why the idea for THAT'S LIFE came about. Below that you will find the short film itself to watch. A look into a life of dealing with depression and battling your own demons.